Getreidegasse is Salzburg’s main shopping street with atmospheric arcades and courtyards and tiny winding side streets leading to other parts of the city. 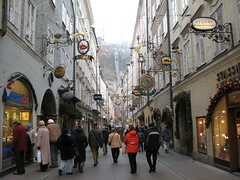 It is lined with fashionable shops, as well as many shops specializing in souvenirs that are unique to Salzburg itself. 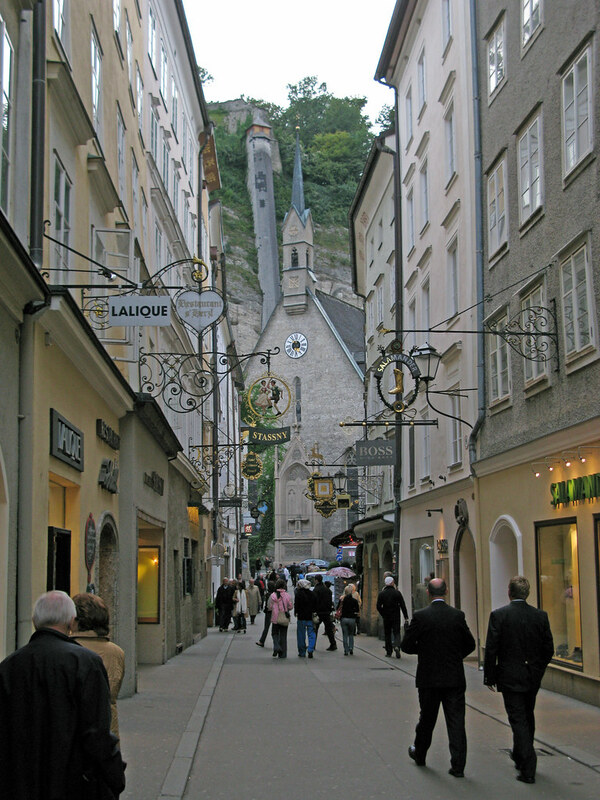 This street has been used since Roman times and has been the center of Salzburg for many hundreds of years. Mozart was born in an apartment on this street, which is now the attraction Mozart's Geburtshaus. Today, this street is usually cram packed with tourists and is especially busy during the summer months. 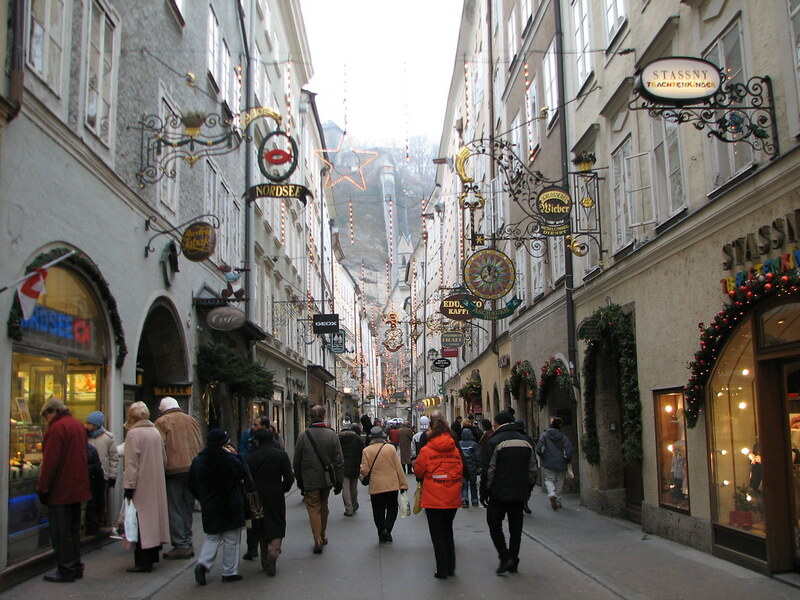 It can however be just as packed before Christmas when the Salzburg Christmas Markets draw thousands of people to the city. Shops along this street include Louis Vuitton, Boss and H&M, as well as gourmet food shops and tourist outlets. Although many of these shops have moved in not so long ago, Getreidegasse still holds its charm by prohibiting excessive advertising or neon signs. Even McDonalds has only a medieval gilded sign showing its presence. 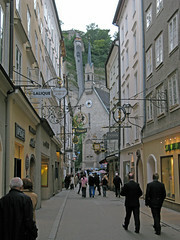 Getreidegasse is located directly in the center of Salzburg, just south of the river Salzbach. The small windy streets around here were amazing, but really packed when we were there. Have you already visited the Getreidegasse? If so, let everyone know what you thought about it by writing a review! No registration necessary. Just click here to start writing!